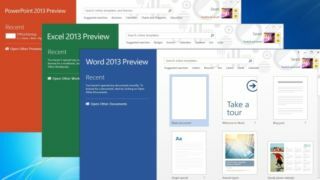 Microsoft has confirmed that Office 2013 owners cannot transfer their license to another PC once it has been installed. In a departure from Microsoft's Office 2010 stance, those who purchase a license (for all versions) for the new Windows 8 productivity suite, will not be able to reinstall elsewhere, even if their PC is stolen. In an emailed response to a query from Computerworld asking whether this was indeed the case, a Microsoft representative simply replied "correct." Asked in a follow up email whether end users could transfer the license in the event that their PC is lost, stolen or damaged, the PR firm representing Microsoft responded with a curt "no comment. Similar restrictions had existed for the cheaper versions of Office 2010, but not for all commercial versions of the software, as is the case with Office 2013. The move is being seen as a way for Microsoft to encourage sign-ups for its cloud-based Office 365 Premium subscription suite. "We've been very clear in all of our communications that customers seeking transferability should get Office 365 and that Office 2013 is licensed to one device," the Microsoft spokesperson added. Office 365 Premium does allow the software to be installed on up to five machines, so it is indeed more "transferable," but that's not really the point. Office 365 requires a monthly £7.99 (USD$9.99, AUD$12.99) subscription or an annual £79.99 (USD$99.99, AUD$119.99) fee, so in reality it's still like buying Office once a year. For loyal Office customers who are unlucky enough to have their laptop stolen or suffer hardware failure, having to buy Office again for their new PC will undoubtedly be an added boot in the nether regions. Surely, Microsoft would be wise to revise this policy and not punish those who've opted to pay for their products?